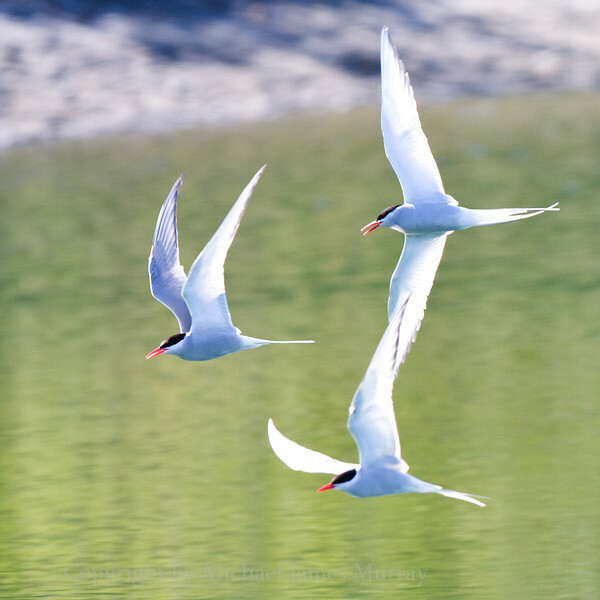 Trio of Arctic Terns. These birds have the longest known migration route of any animal - 23,000 miles. Mendenhall Lake, Juneau, Alaska.